I had corresponded with Steve Maxwell for awhile before I met him face to face. 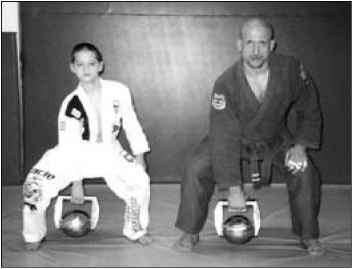 Steve is a Senior World Brazilian Jiu Jitsu Champion, a personal trainer extraordinaire, and a true Renaissance man. I finally got to shake Steve's hand at the last Arnold Schwarzenegger's Fitness Expo. This superathlete and his son Zack assisted me at the Arnold's Training Seminar. Both had been following the Bullet-Proof Abs program and effortlessly knocked off evil Janda situps that had stopped a studly bodybuilder from the audience at two reps.
Steve Maxwell has a master's degree in exercise physiology and a wealth of practical experience in training and coaching. But what sets Steve apart from other degreed trainers is his innovative approach to designing his and his clients' programs. He sifts through an overwhelming amount of academic and hands-on training information and knows how to select the best techniques and organize them into the most powerful combat fitness cocktail. 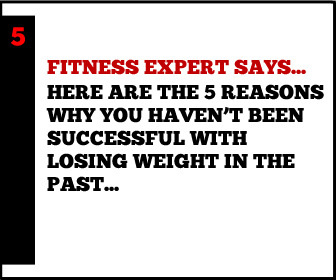 There are very few personal trainers I would endorse without reservations; Steve Maxwell is on top of that list. If you are looking for a trainer and are fortunate enough to live in Philadelphia give Mr. Maxwell a call at Maxercise, (215) 928-1374, or check him out on the web at www.maxercise.com. Shortly after we became friends, Steve learned about my kettlebell past and asked many pointed questions. A few weeks later the wrestling champ welded handles to a couple of steel balls and took on his new kettlebells with a vengeance. The following is Steve's recent letter that includes a couple of powerful routines, reprinted with his gracious permission. 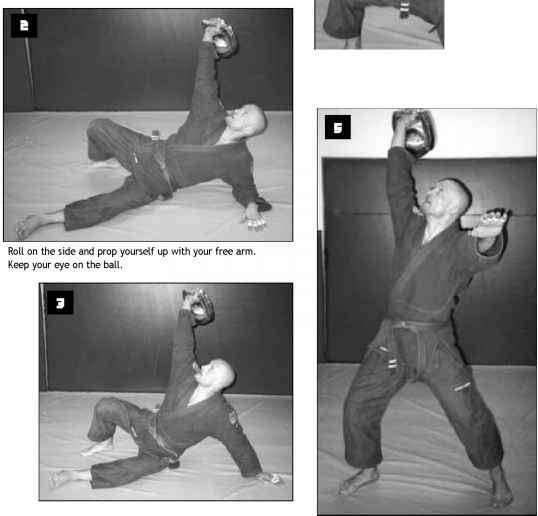 Your training ideas are awesome and the kettlebells are a great conditioning tool for a martial artist. 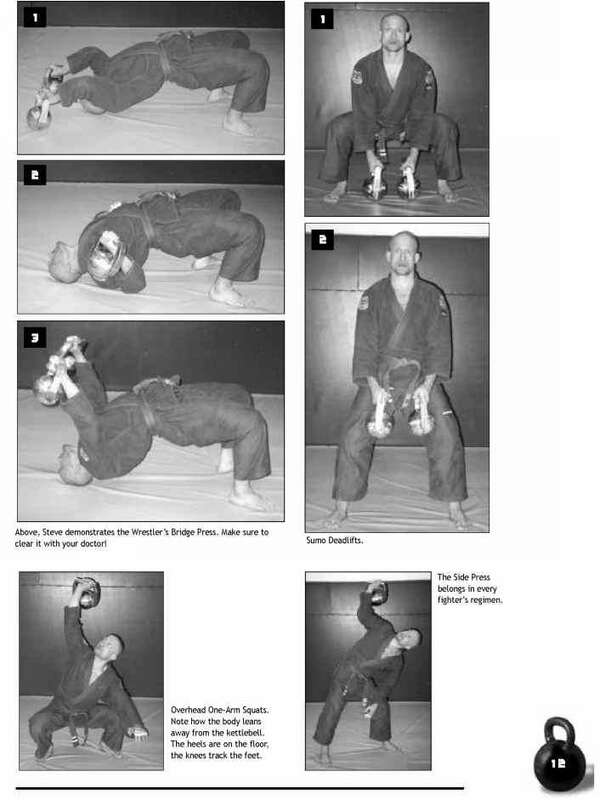 Below are some indoor circuit routines that I have found very useful. 11. Janda or Ab Pavelizer situps. 12. Chin up ladders, -alternate with a partner. 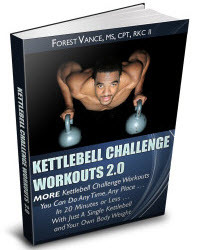 The circuit is done with no rest between exercises for one set of the above repetitions with kettlebells that weight about 23.6 kilograms or 52 pounds each. The workout is under 15.00 and I attempt to lessen the time every workout. Zack and Steve Maxwell are ready to take on their kettlebells. Get up from your knee. Keep your waist tight and do not let your knees buckle in. Keep your elbow locked. Your arm must remain vertical for the duration or the weight shall come crashing down when it gets heavy. If you think it's over, think again! Reversing the procedure is every bit as ugly. Steve Maxwell can perform the Turkish Get Up with 100 pounds. If the strongest bodybuilder you know can use half the weight, I shall be impressed.